From the most respected and revered meteorologist in the state and country. That could be a Perfect Storm for your business or organization. Best of all, it’s the power of James Spann! The AlabamaWX site recorded over 10.2 MILLION pageviews in the past 12 months from nearly 2 MILLION unique visitors. Leverage this vast audience for your product or service. 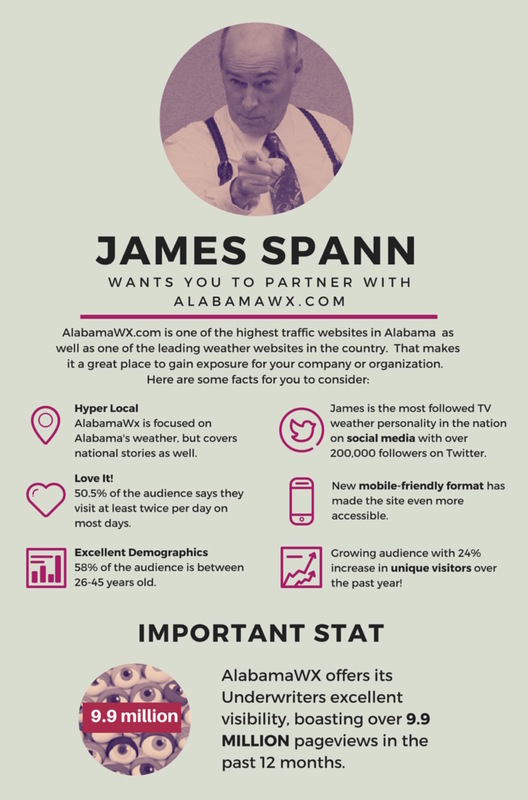 These are the various placement opportunities for your ad on the AlabamaWX.com blog desktop site. 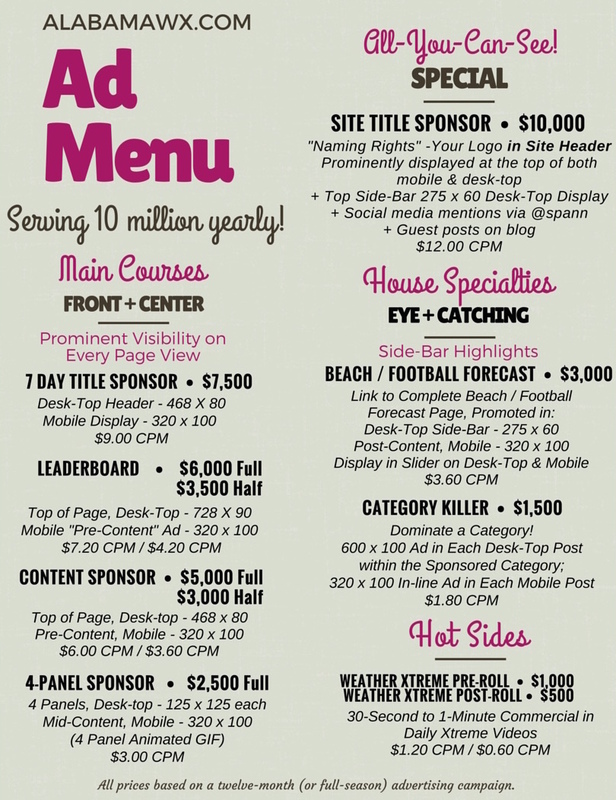 The site adapts automatically on smartphones and tablets to display beautifully, giving your ad outstanding exposure. Here is the mobile site layout. Let us create a bold way for you to get your message out to our engaged audience. To explore flexible sponsorship opportunities on the AlabamaWX.com platform, contact Bill or Elle Murray at (205) 687-0782. Here is a menu of the options for you to choose from! When you buy a position, your ad will be seen whenever the site is opened on desktop or mobile versions. This is an amazing reach into a highly engaged audience!